Trying to emulate Emmanuelle Alt’s (Editor-in Chief of Vogue Paris) style online and in-person has become a popular and near obsessive pastime for many. When former Vogue Paris Editor-in-Chief Carine Roitfeld was at the helm of Vogue Paris, Emmanuelle Alt who was Creative Director at the time was known as “the cool one”. Approachable, youthful (you can certainly see her Isabel Marant roots), and delightfully chic in a covetable and minimalist manner, her no fuss approach to her personal styling was and continues to be a drastic departure from Roitfeld’s chic decadence. In today’s post, we uncover the anatomy of Alt’s signature style and provide you with a few looks you can easily replicate. 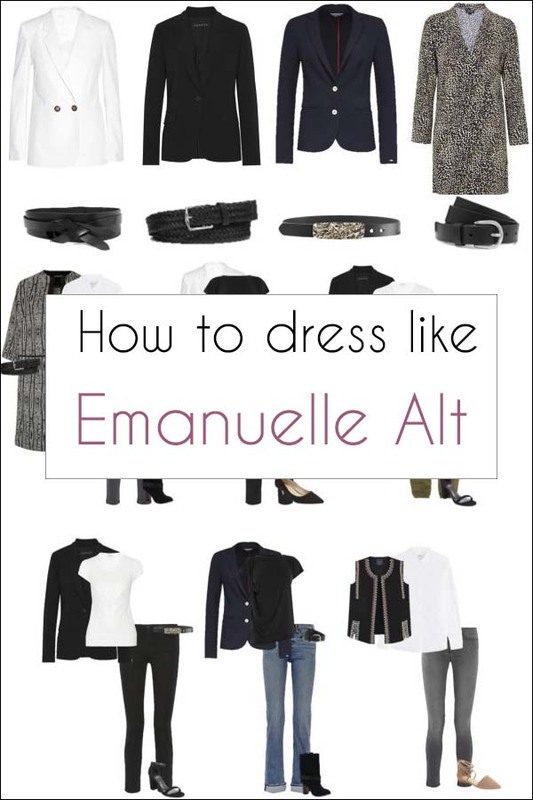 If we were to build an entire capsule wardrobe around Alt’s style, what would it look like? First, the attitude—unfussy, decidedly and gloriously unfussy. Where Roitfeld was provocatively decadent (which we all still love and appreciate), Alt is charmingly minimalist. Her brand of minimalism should not to be confused with simplistic. From the cut of fabric to the tailoring, it is evident that there is a luxe component to her selections. She is, after all, a European (and global) fashion mainstay. Second, the color palette. Her color choices often consist of neutrals with the occasional delightful pop of reds, blues, golds, and other shades. Third, remember the uniform: Luxe top, belt, super flattering and tailored jeans or trousers, and non-pretentious, yet stylish shoes. Alt is able to combine classic and au courant pieces into very stylish and non-boring looks that are predictable only in the choice of silhouette. You can see many of Emanuelle Alt’s looks here. The perfect thing about mimicking Alt’s style, is that you most likely already have the majority of it in your closet. Basics and neutrals are key (and Queen) for this look. Let’s build a wardrobe around Ms. Alt’s signature style. Jeans and trousers always serve as the foundation of Alt’s looks. Her usual palette for jeans consists of blue, black, white, and dark gray hues. As mentioned above, jeans and trousers are the foundation of Alt’s looks. She has been spotted wearing everything from black leather pants to well tailored navy blue trousers. 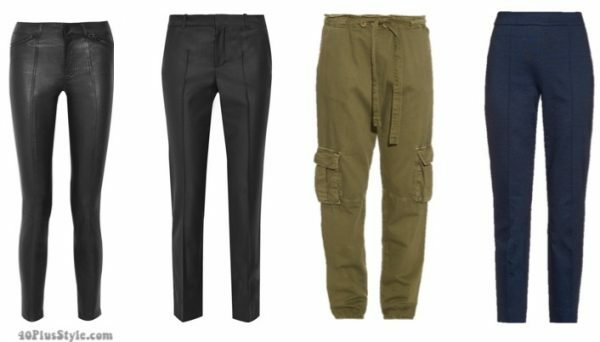 She has also been seen in looser fitting cargo pants paired with a fitted blazer or jacket and very feminine shoes as a juxtaposition. The secret to Alt’s usual selection for tops are classic french pieces (such as striped tops, white blouses, and plaid tops). She has also been known to go for graphic print tops that add quite a bit of dimension to her look. Fitted blazers are another mainstay in the Alt style book. Her preferred designer appears to be Balmain. She has also been known to throw in a little surprise with an oversized printed blazer, which she belts in her effortlessly stylish manner. From classic black trench coats to cocoon shape coats (and the occasional surprise vest), Alt definitely has a passion for oversized coats that she belts in her signature style. We love how approachable (and replicable) Alt’s shoe choices are. Scrunched mid-calf boots, classic pointed toe pumps, and easy going flats are always in her rotation. She, of course, always opts for neutral shades (with a few pops of color thrown in here and there). You will usually find Alt wearing a belt. From belted coats to wearing belts with tops and pants, we would love to scour the belt section of her wardrobe. 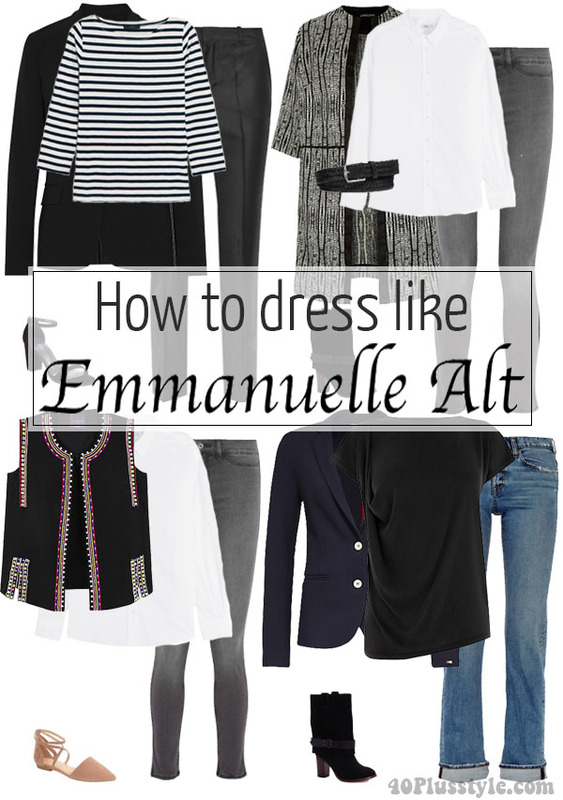 What do you think about Emmanuelle Alt’s “uniform” look? If you had a uniform look, what would it be? Chic or not, I couldn’t live with the lack of color. I am with Melisa, I love how she looks but the vast amount of black is too much for me. She does have some colour sometimes, but not a lot. I can copy a lot of her looks, indeed with the things already in my wardrobe. Loved the white jacket with blue top and coated (or leather) black trousers. I can do that but my jacket is very summer and leather trousers very much winter. I already have a lot of these pieces. 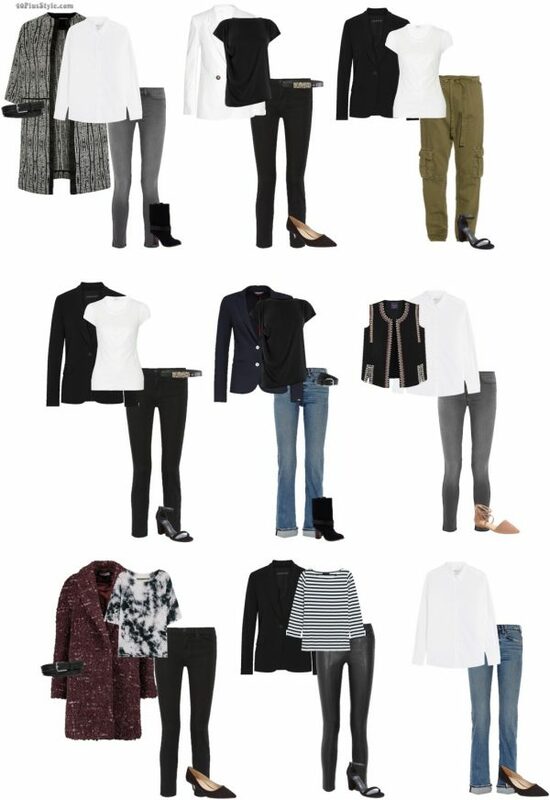 This 30-piece wardrobe is perfect for me, since I have adopted a minimalist approach to dressing. From this article, I have learned that I need to update my shoes and boots and get some decent belts. Love the lack of color and the ability to mix and match the pieces. Perfection! Previous post: Nordstrom Anniversary Sale now on!